The closing date for nominations is 12noon on Thursday 9 May 2019. 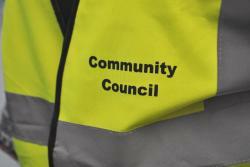 The community council consists of a maximum of 12 members. In the event of there being more nominations than places, a ballot will be held. Community Councils play an important part in our towns and villages and anyone interested in working with their community is encouraged to put their name forward for this election.